We know that horses get along with dogs and cats famously. 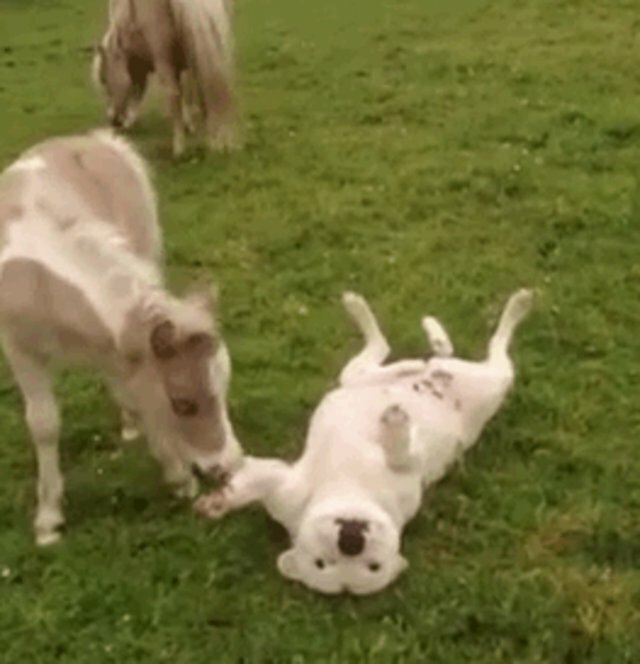 But what happens when a mini horse in the picture? ...It's pretty much the same thing.